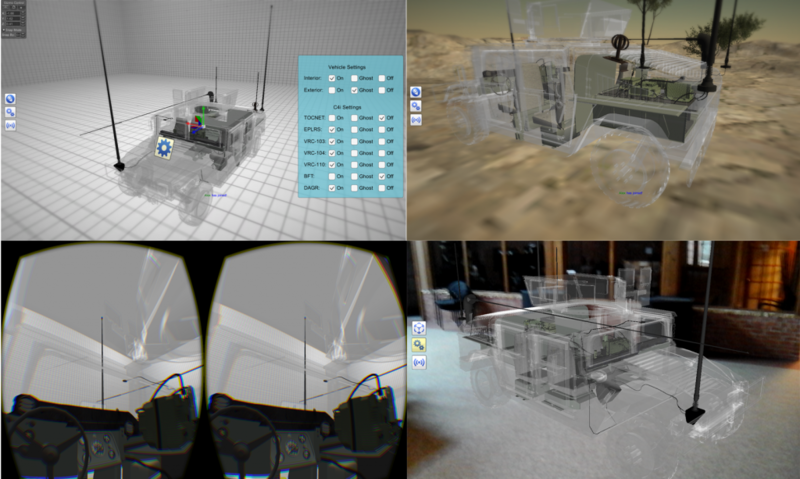 Collaborative Framework was a project developed by Design Mill Inc that interconnected PC, AR and VR in a collaborative design environment. Driven by a need for streamlined design process efficiency, the Collaborative Framework system integrates real-time communication between users across multiple platforms. The system is highly interactive with mixed reality interfaces and 3D visualization of simulated environments. This platform provides an opportunity for a high level of collaboration resulting in more productive design and iteration operations and ultimately enhancing the product life-cycle.